Fujairah is more famously known for Snoopy Island, the best place in the United Arab Emirates to do some snorkelling. 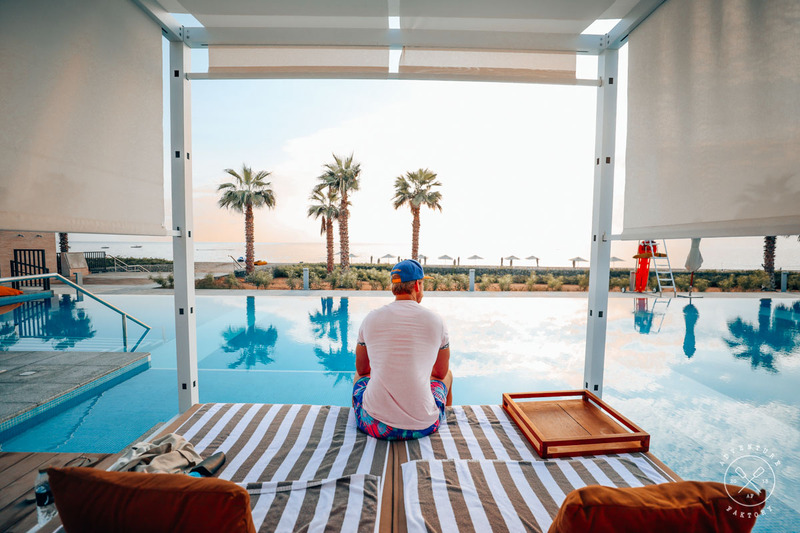 Great news now because not too far from it, this luxurious resort opened its doors in late 2017 and can’t wait to have you to fill up its rooms! 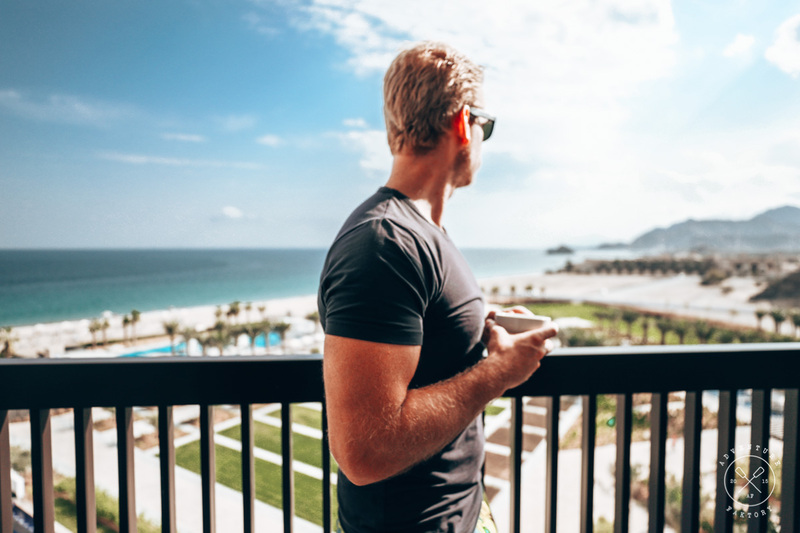 As a non-UAE resident, you might have no idea of this city/state of Fujairah. If you are planning to do a road trip from either Dubai or Abu Dhabi, Fujairah is the Emirate of choice for you. They have a nice beach stay to be able to do either snorkelling or diving. 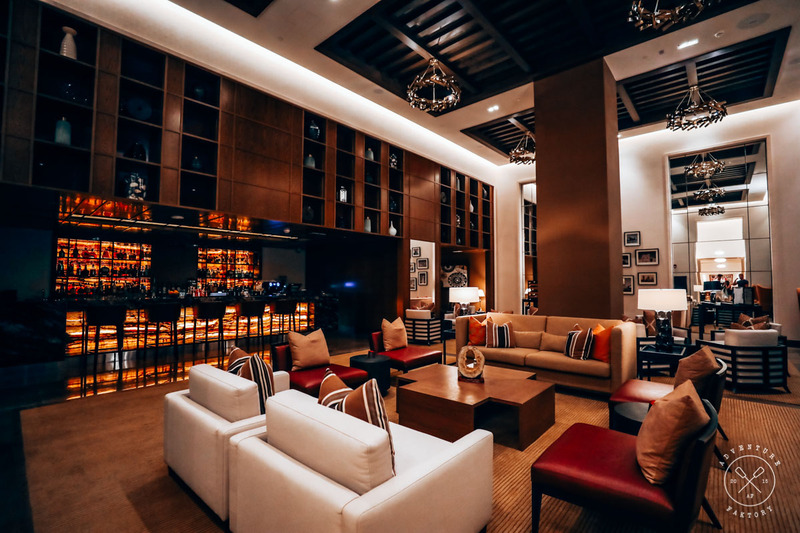 This review will be a good guide for you to consider a luxurious stay at one of the top hotelier brand on the market. 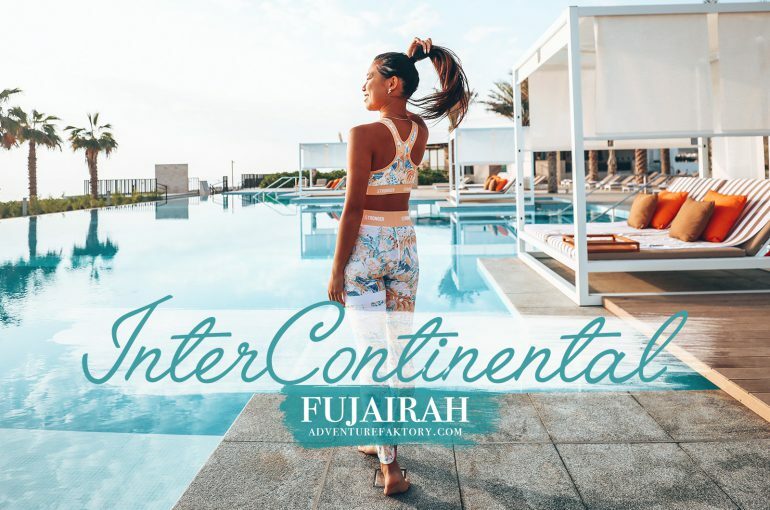 Where is InterContinental Fujairah Resort Located? 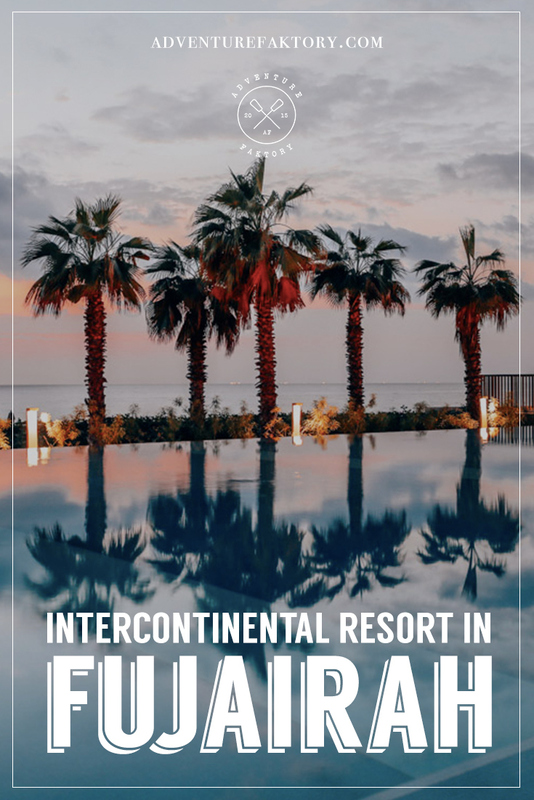 The InterContinental is situated 45 minutes drive from the actual city of Fujairah. It is the newest addition on the Fujairah coast, not too far from Snoopy Island. 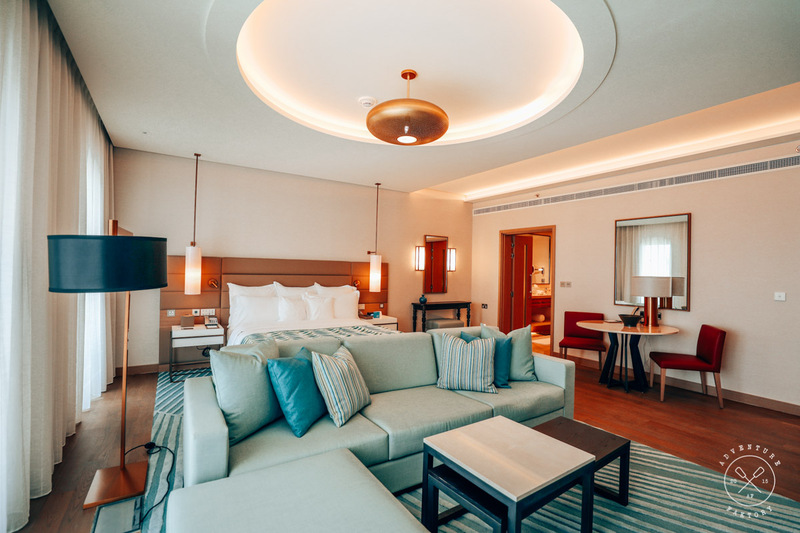 Fujairah is known to be the home of many old resorts, hence this opening is a breeze of fresh air. 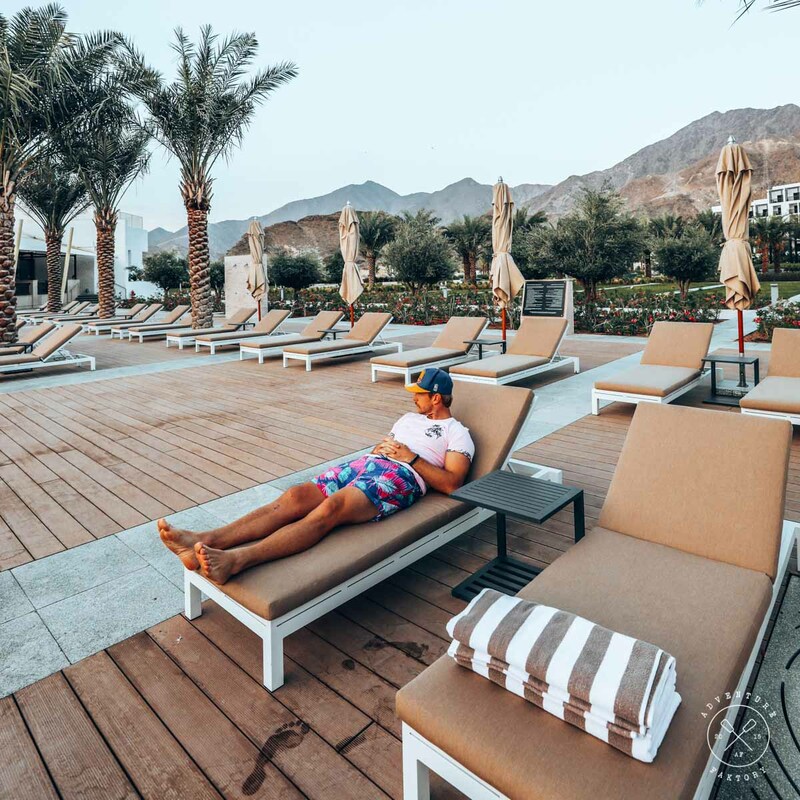 With very luxurious and new facilities, the InterCon also has everything you need for the perfect holiday outside of the main cities of Dubai and Abu Dhabi. As for the residents of the UAE, this place is THE stay-cation spot in the country you need to plan for as soon as possible. In addition, Fujairah has many attractions that you might have never known about. 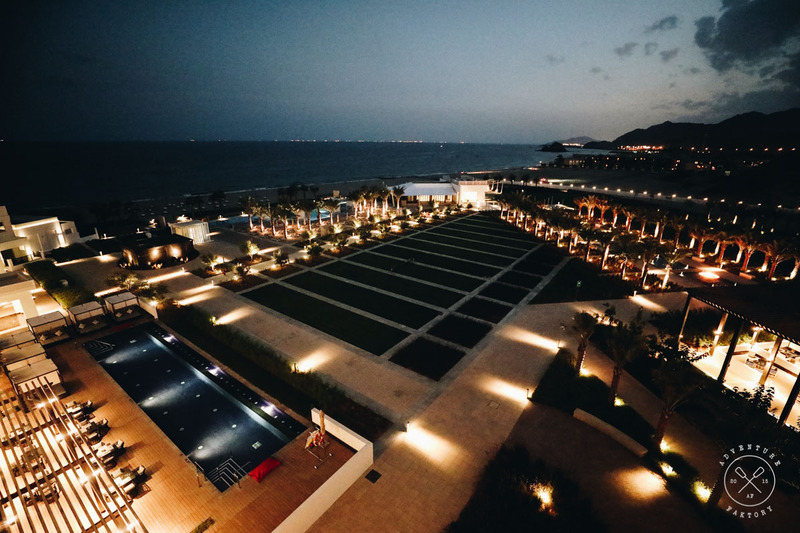 We wrote a list of things you can do in Fujairah, make sure to plan your journey out there with it! That rock over there on the right … it’s Snoopy Island! View from our room to the sea. All rooms face the sea which is amazing! Other than Snoopy Island and other neighbouring resorts, there is not much. 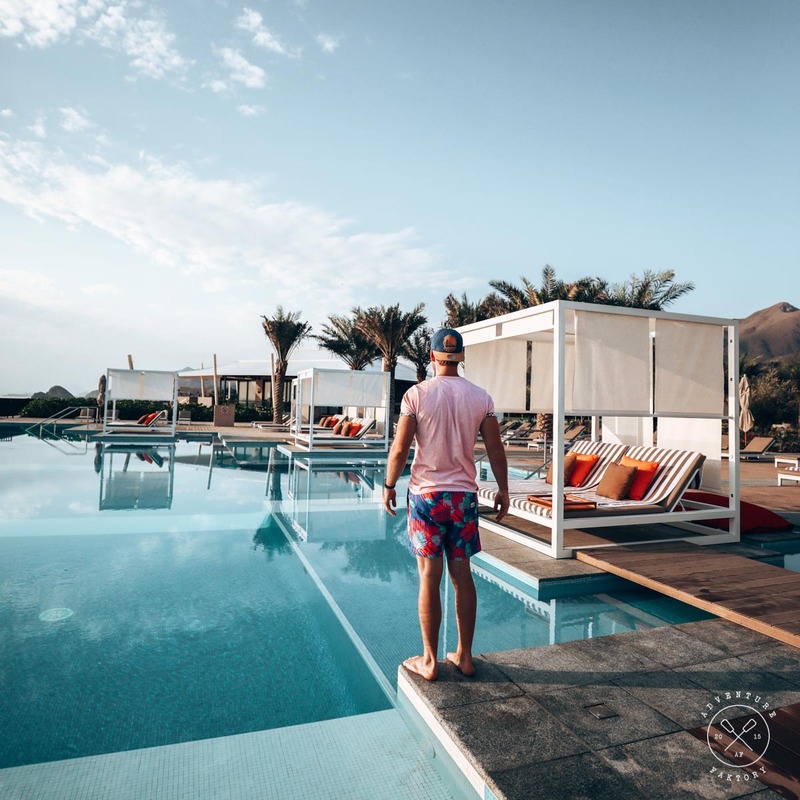 You will have to book a tour with the resort or get a taxi to drive towards Fujairah City to be able to see some attractions. 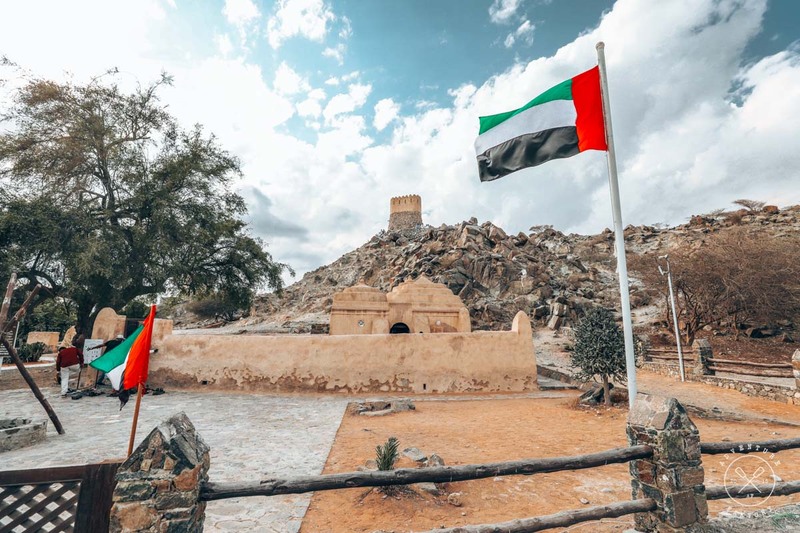 On your way to the city, you will pass by the oldest mosque of the UAE: Al Bidhya Mosque and Fort. Around the city there are things you can fit in a day or half day of visit, including the Sheikh Zayed Mosque, the second biggest of its kind in the UAE behind the Sheik Zayed Grand Mosque located in Abu Dhabi, bull butting at the corniche, the Fujairah Museum and Fort, etc. You can read the full list of things you can do in Fujairah for more details! Why leave though if you can get all the happiness at the resort! 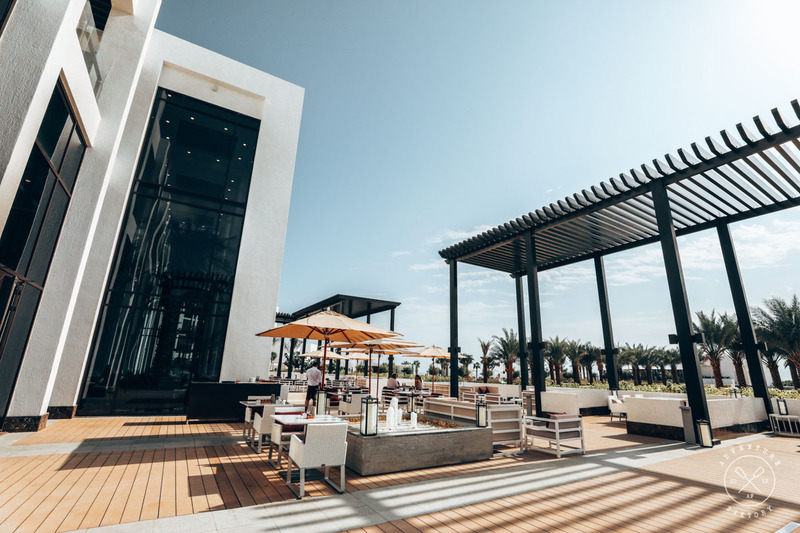 Jokes aside, we encourage you to discover Fujairah during your stay here at the InterContinental Fujairah. You should be aware that there’s public transport from Dubai to Fujairah, but this is for the locals commuting around. You certainly not going to take the bus to get here! In saying that, the resort offers private transfers, hence make sure to arrange transportation after you book your room. As for going to the city if you drove yourself, this is pretty much the only way: with your own car! Public transport within the area is for locals as well. The best way would be to arrange a car with the resort with or without a driver depending on your preferences! 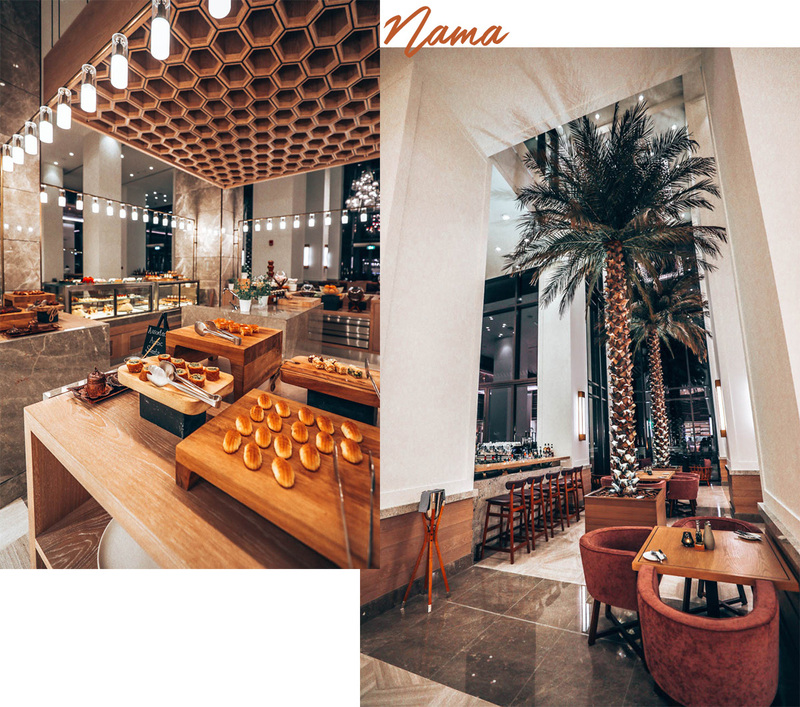 Nama is the main restaurant where you will have breakfast, lunch and dinner. 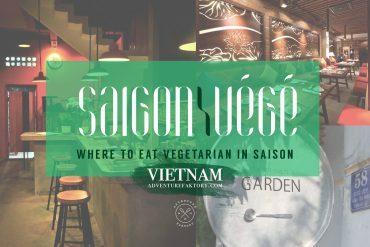 Variety of food is just what you need with an international array of choices. The sweets station is definitely the place to be, even if you prefer savoury. 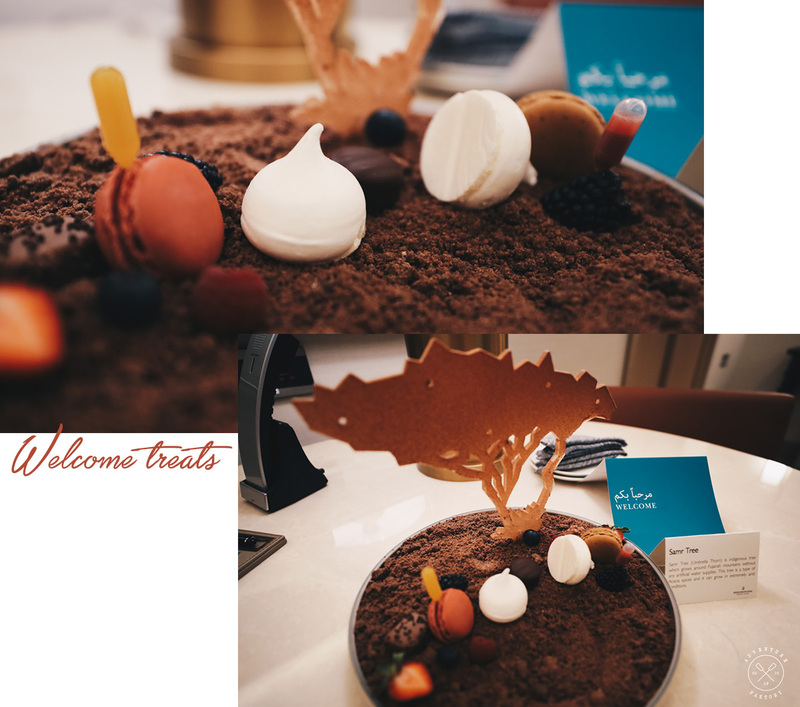 The pastry chef is so creative and comes up with many many great treats. 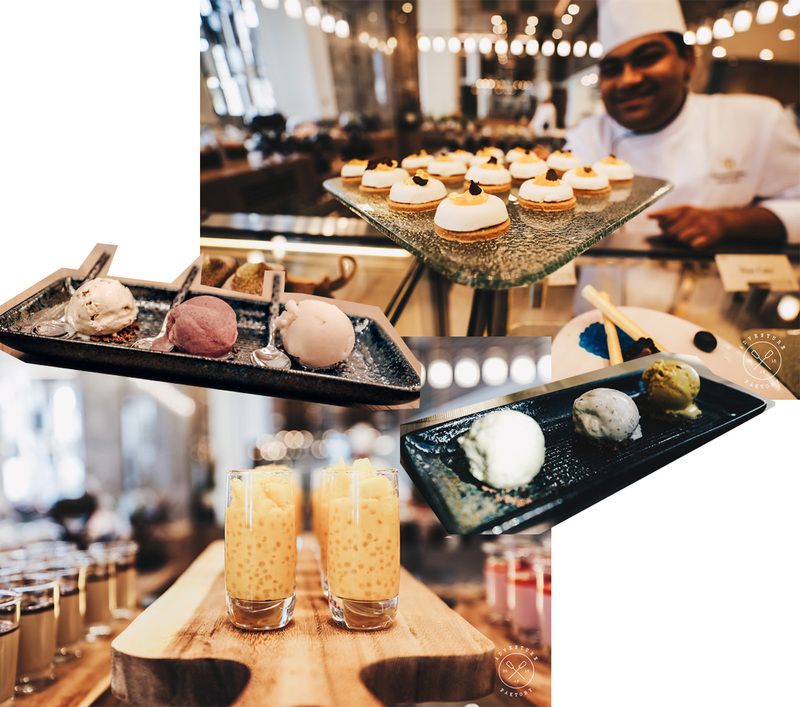 The team also came up with many local flavours of ice cream made on site, including one of the likes of zaatar, rose, saffron, etc! 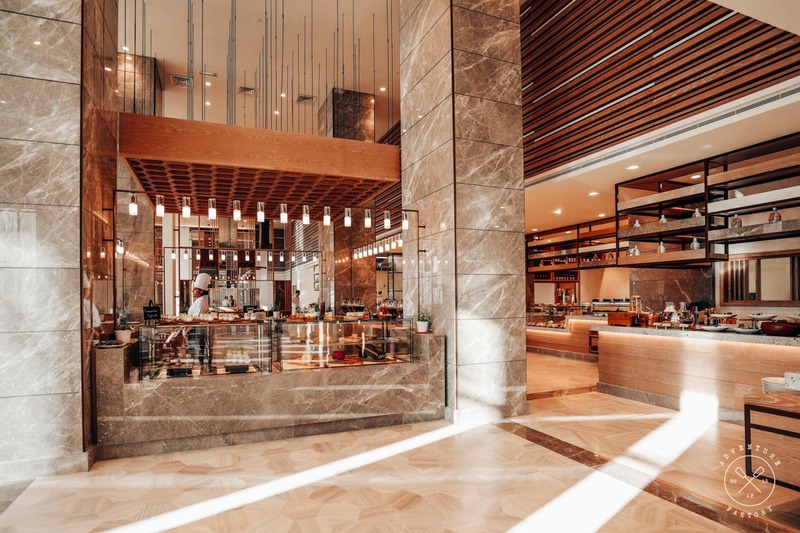 Breakfast at the InterContinental Fujairah is delicious. 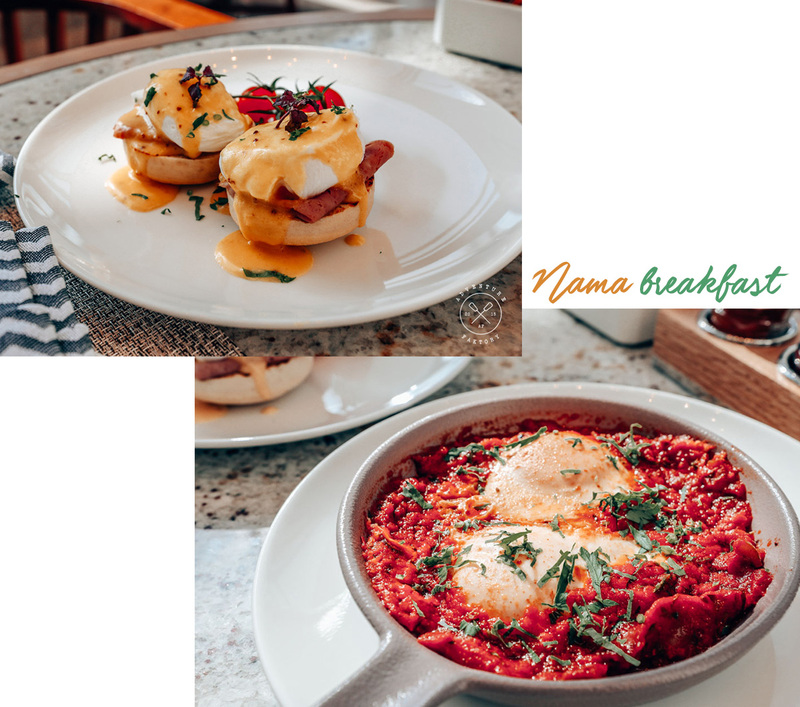 Not only you have choices from the buffet, there is also an A la carte menu to get other selections such as eggs benedict, shakshuka, etc. Of course, like any 5 star hotel & resort should, bubbles are available for your little morning mimosa! Don’t forget to take a day to have breakfast outside overlooking the mountains if it is not too hot. 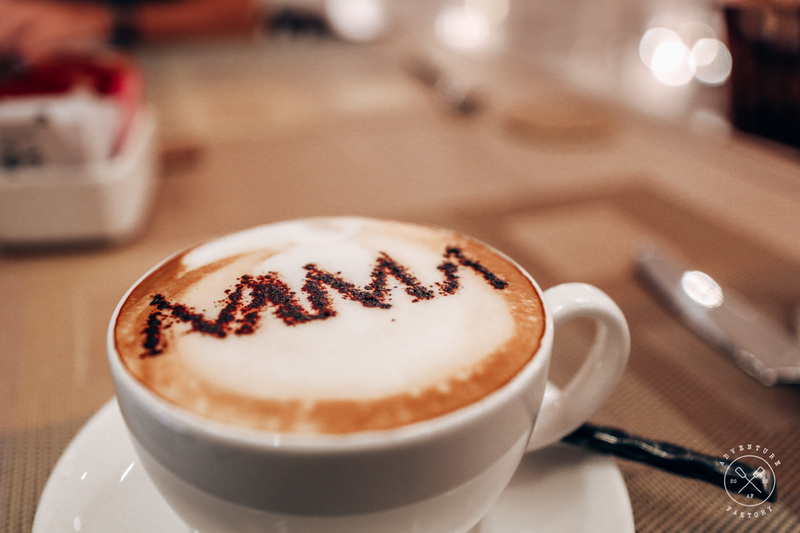 Breakfast is also possible to be taken at the InterCon Club if you are a member, although the buffet selection is not as much as Nama. 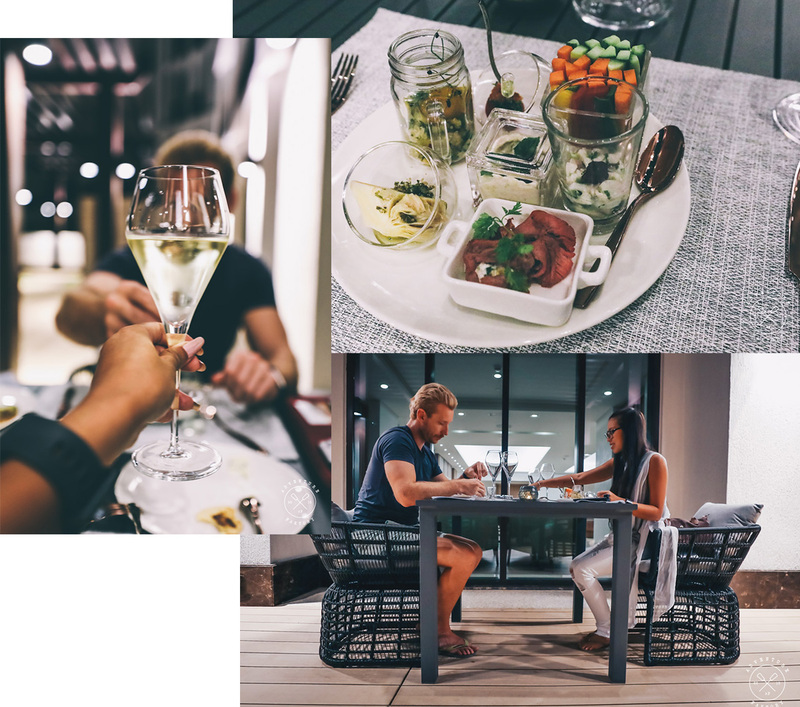 The perk is that you are eating by a private pool overlooking the beautiful mountains of the UAE. 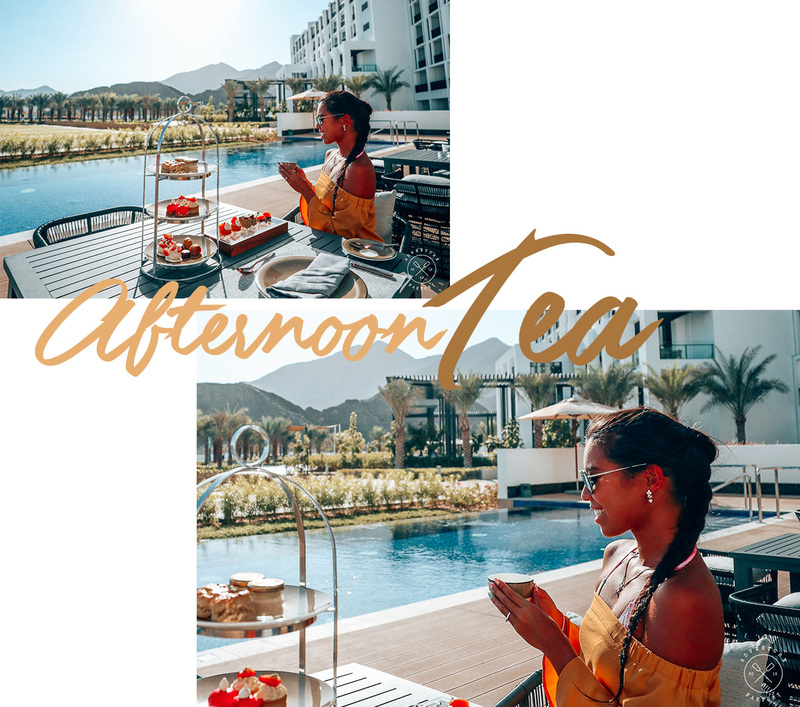 Otherwise, you can enjoy afternoon tea at the club and also benefit of the same seating area while nibbling on delicious food. 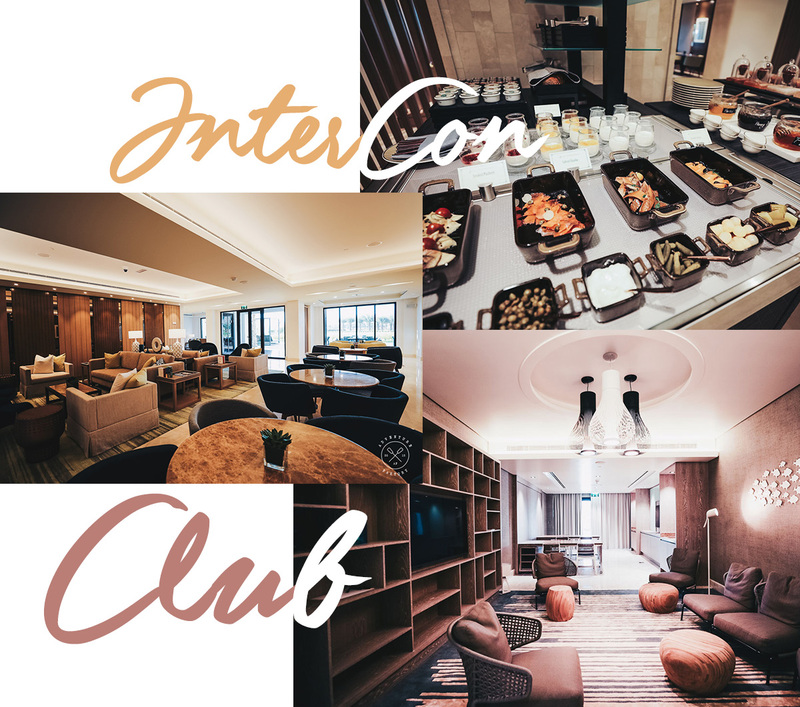 The InterContinental Club always has something going on. 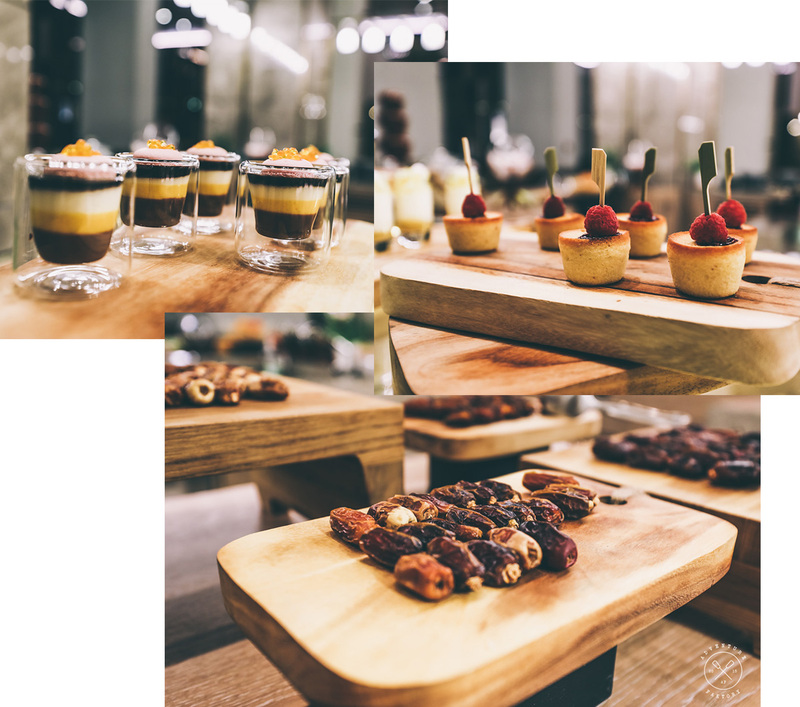 If you’re not up to having breakfast or afternoon tea there, come in the evening for happy hour to enjoy the chef’s special nibbles of the day with some alcoholic beverages. If you go too late, you might get too full from over eating before dinner because the food is THAT good! There’s also a selection of cheeses to pair it perfectly with your wine. 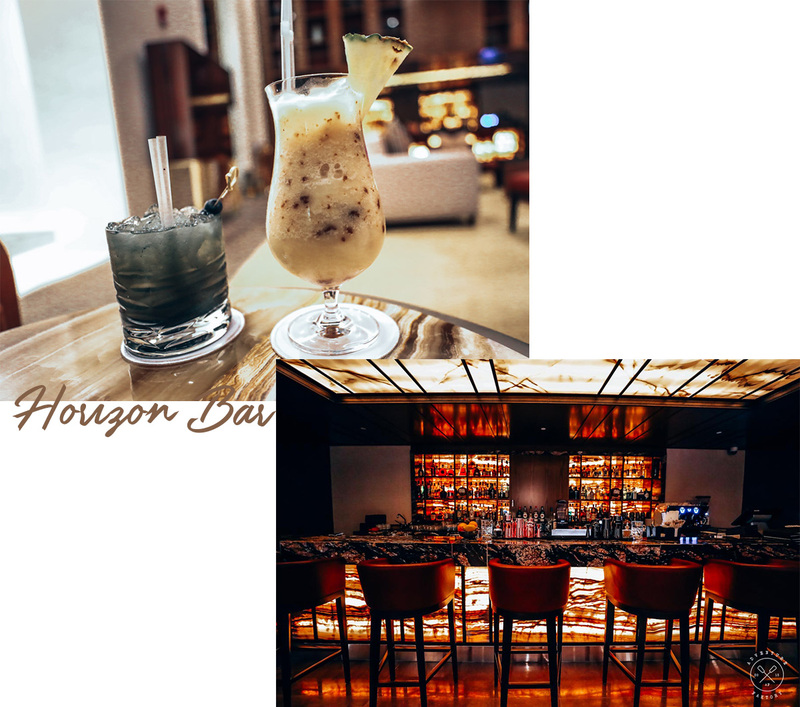 For the socialites, if you want a drink, head over to the Horizon Bar. Their selection of cocktails are all very original and if you are not into alcoholic drinks, the mocktails are seriously as good! 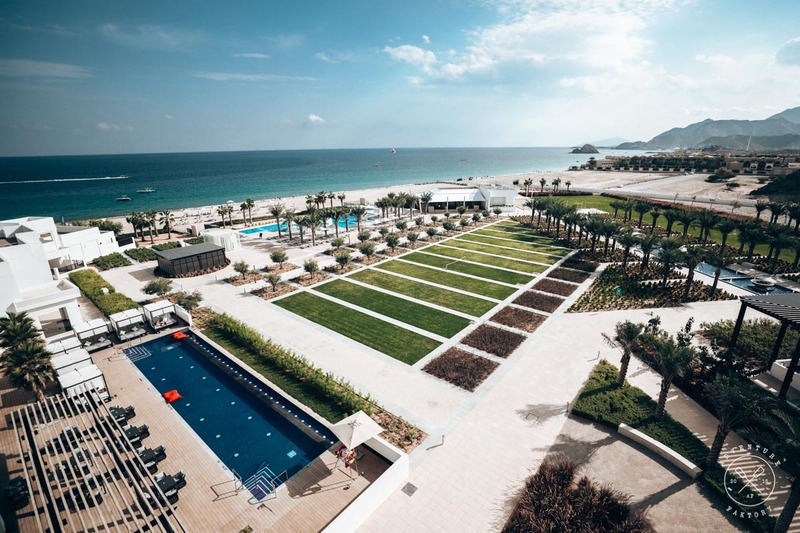 The Intercontinental Fujairah has 2 big pools. one dedicated to families and another one for adults only. The adults pool has a beautiful view over the sea and is the place to be for sunrises. 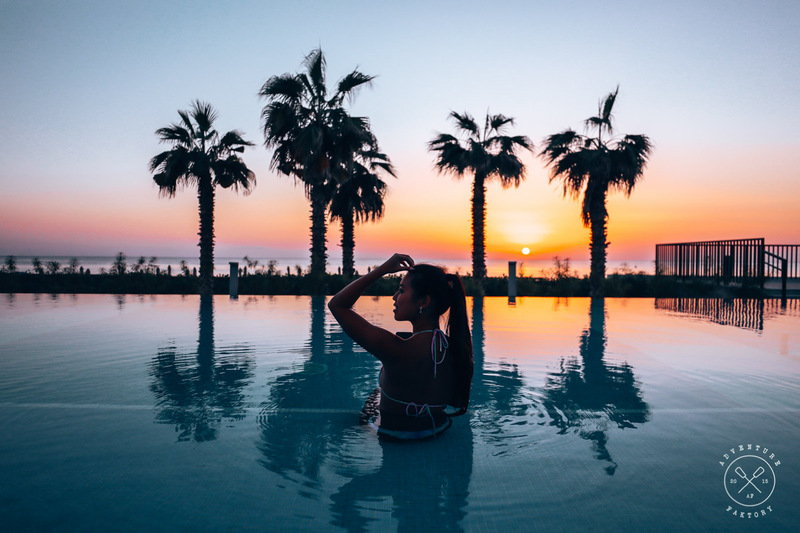 In saying that, this resort is a sunrise hotel, which means that to get your beautiful pink and orange skies, you will have to actually get up very early to capture that beautiful light. Sunsets are less colourful unless you are lucky with the weather and depending on the season you’re visiting. 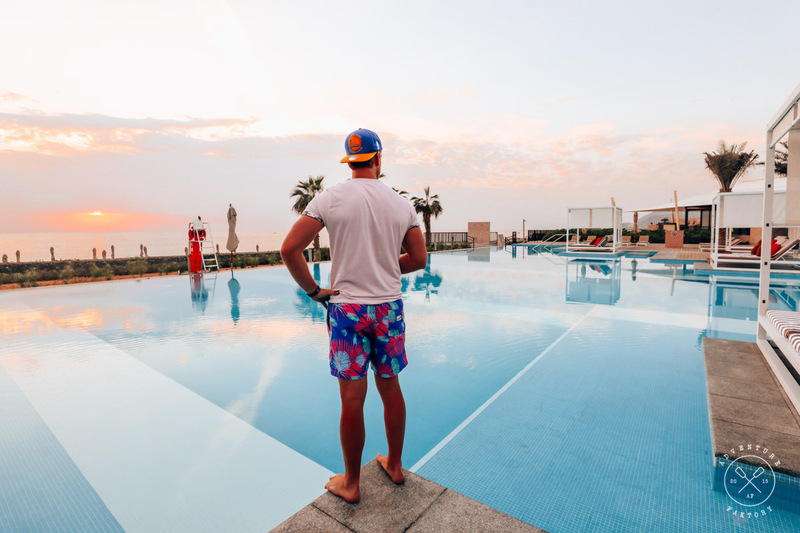 There is a last pool dedicated exclusively for the club members of the InterContinental. There is a spa L’Occitane and a large equipped gym. 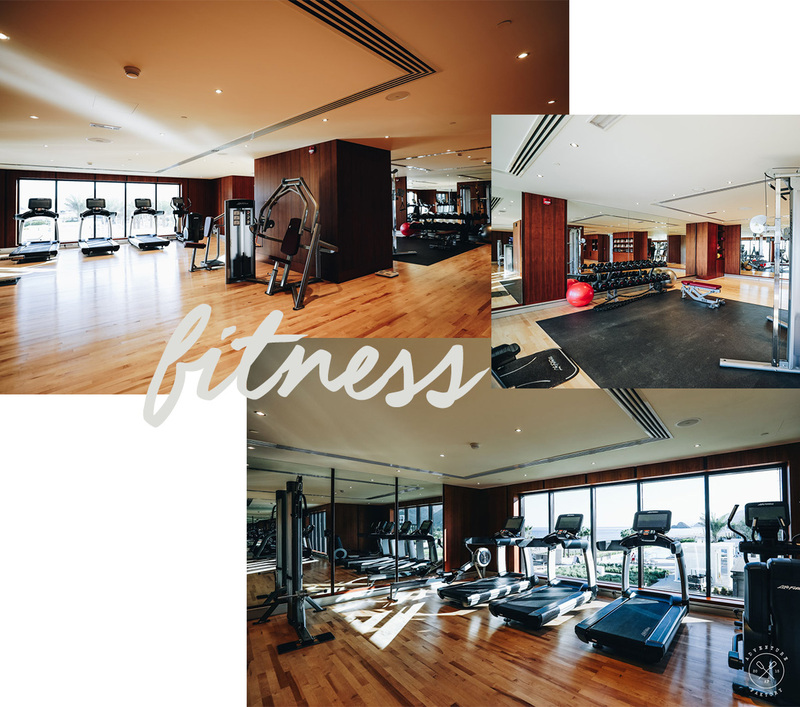 The fitness centre has PTs that can assist you and also a schedule of daily bootcamps/active activities. Although the resorts sounds very luxurious and kids free, it’s actually very welcoming for families. The resort is well designed to separate everything perfect so the adults don’t get bothered by the presence of kids. Not too far from the family pool area is the “teens playroom” and “kids playroom”. Both have staff that is available to babysit and entertain your kids. They have so many games, space and a schedule full of activities to make sure that the stay is memorable for both the kids and the parents. The rooms vary from (150$US to 500$US). All the rooms face the sea which is a huge plus! The suite we stayed in is quoted at 690 AED (~190$US), including the breakfast. You can compare rates on Agoda, Booking.com and Hotels.com to book your stay at this beautiful corner of paradise of the UAE. Hotel transfers are available upon request, please make sure you arrange this in advance to avoid any miscommunications. 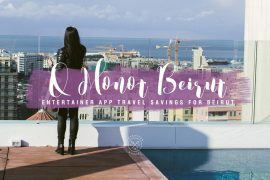 Luxurious resort experiences should be stress-free and personalized. 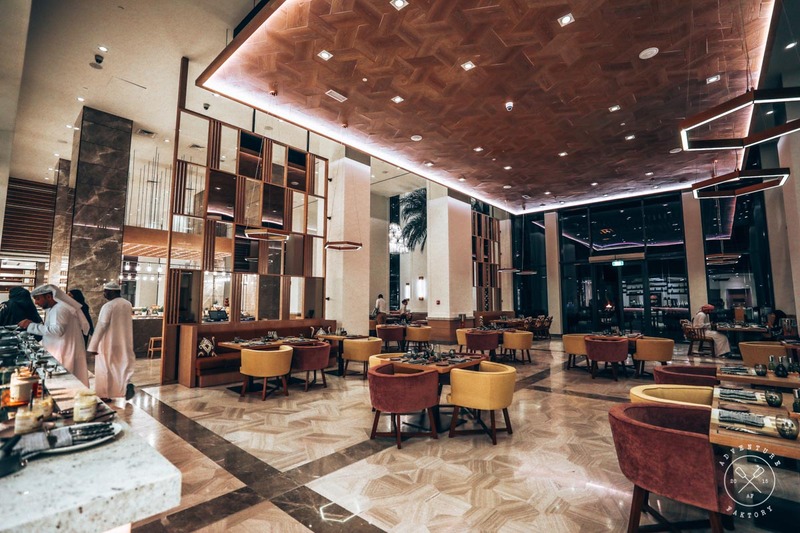 The InterCon is a brand that is known to deliver these points very well and we sure had a lavish and great experience as good as when we were staying at the InterContinental Sun Peninsula in Da Nang, Viet Nam. The room we had was very spacious and has a lot of sun light, which made us very tempted to just tuck in the blankets and have breakfast in bed. The pool is incredible and perfect to capture the most memorable souvenirs. Both motorized and non-motorized activities are available and is quite a must if you are staying here. We went to a snorkelling trip to Snoopy Island which was filled of diverse types of fish, way more than what we expected. We snorkelled around the rock and saw a surprising amount of different types of marine life. Beware of the sea urchins, there are actually a lot and there is a spot of the Snoopy Island that is quite shallow so you have to be careful while swimming around there. We also did some paddle boarding and kayaking which is always enjoyable! We very much enjoyed afternoon tea at the club, but not to mention the delicious treats that were serve by the chef at evenings. Although the resort is not fully finished we very much enjoyed our stay. The spa wasn’t ready at our time of visit so unfortunately couldn’t take some photos and try it out. Same applies to their upcoming restaurant Drift. Hopefully it will be ready soon so we can visit again! Have you ever visited Fujairah? Share with us your experience if you have been! 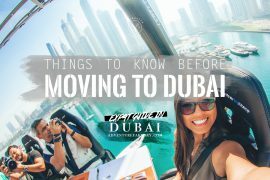 You can also read more about the UAE to make your journey a memorable one!